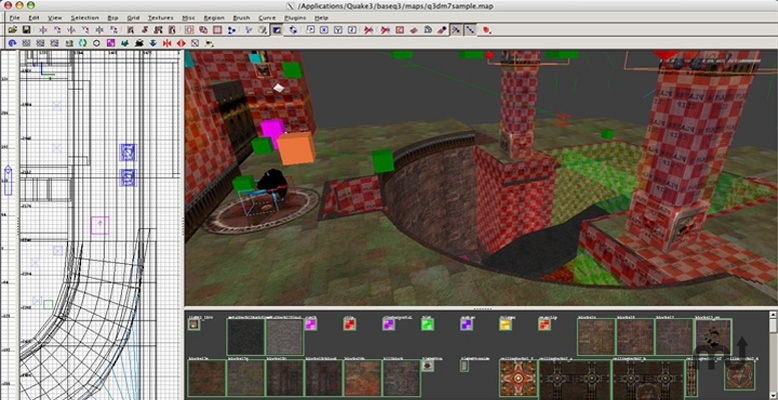 Make maps for games based on Quake3 engine. Is there a better alternative to GtkRadiant? Is GtkRadiant really the best app in Gaming Tools and Utilities category? Will GtkRadiant work good on macOS 10.13.4? Very fast installation, mac-tastic, all game packs pre-installed, Aqua Gtk Theme, Radiant 1.5 added (New: Doom 3 mapping), latest version of q3map2 (to compile maps), extensive documentation with Radiant learning tutorials, no sw folder needed, no interferences with Fink and no admin privileges needed to install. Mac OS X 10.3 or later (10.4 included), Apple's X11. GtkRadiant needs a rating. Be the first to rate this app and get the discussion started! GtkRadiant... Yes, here it is! You can now edit maps for your favorite games on your Mac: Quake 3, Start trek Voyager: Elite Force, Soldier of Fortune II: Double Helix, Jedi Knight II: Jedi Outcast, Jedi Knight Jedi Academy, Wolfenstein: Enemy Territory, Doom 3 (yes!) These applications were made by Eridan to make GtkRadiant's installation easier with a little help from the rest of the MacRadiant community: http://www.redsaurus.net/gtkradiant/ Includes Radiant 1.4, too: Radiant 1.4 Is to be used for all games except Doom3 Radiant 1.5 Is a little buggy (beta) so you might want to only use it for Doom3 unless it has an advantage you really need. (It has some) Don't for get to read the documentation!